TripAdvisor's homepage now features a "Things to Do" widget, which allows users to enter their destination and find experiences to book. TripAdvisor is launching a new homepage, making the booking of holiday activities and tours even easier. By entering a destination via its site, a "Things to Do" widget will allow users find bookable experiences. Attraction and tour bookings on TripAdvisor have risen 150% year-over-year. According to TripAdvisor, it has grown its attractions listings by 63% during the same period. Travellers can now book attractions, tours and local activities alongside hotels, holiday rentals, restaurants and flights. The total word count of all the reviews on the site now stands at more than 10 billion - this is nearly 12,000 times the number of words in the complete works of Shakespeare. With the new "Things to Do" widget built into TripAdvisor's updated homepage, users can quickly enter their destination to discover local experiences that can be booked independently, or added to their hotel, holiday rental, restaurant or flight booking. 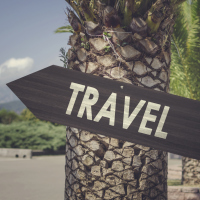 Tripadvisor says that alongside the pairing of millions of traveller reviews and opinions, the new widget will help travellers realise the full potential of every trip and turn a good trip into "a lifelong memory." There are also listings of free events and venues such as parks and museums. The company aims to deliver "a world full of local travel experiences" to users, instantly bookable on a smartphone, tablet or desktop using TripAdvisor. "We're committed to improving the end-to-end planning, booking and in-destination travel experience for our users," says Jeff Chow, vice president of product, attractions at TripAdvisor. "The tours and attractions industry has been making amazing progress in recent years, moving towards adopting the digital and mobile ways consumers book travel. "Giving travellers easy access to an authentic Italian cooking class in Rome, a thrilling helicopter flight over the Grand Canyon and a guided tour of Sydney's iconic Opera House, is just as important as helping them book their lodging or a flight." Travellers can protect themselves while on holiday by taking out travel insurance.